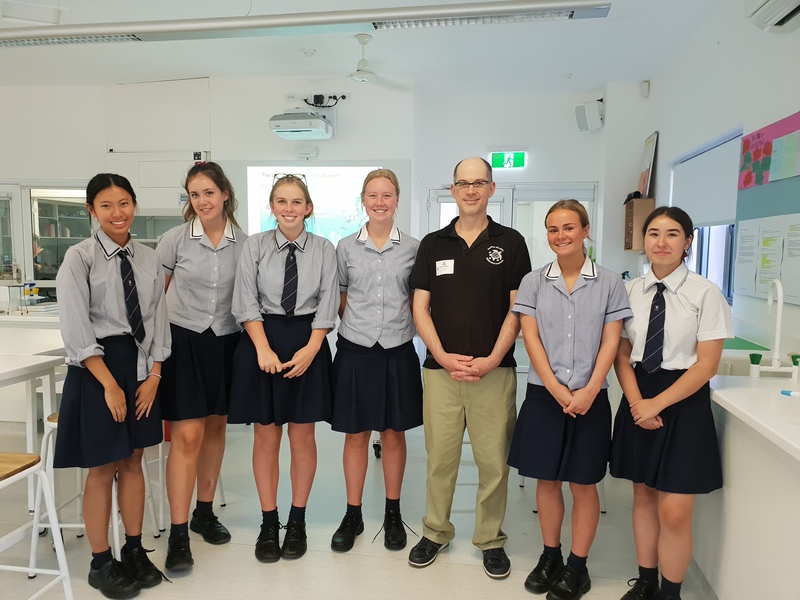 Hi All, a couple of weeks ago I was fortunate enough to be invited to give a seminar out at Wenona – a fantastic private girls over in North Sydney. 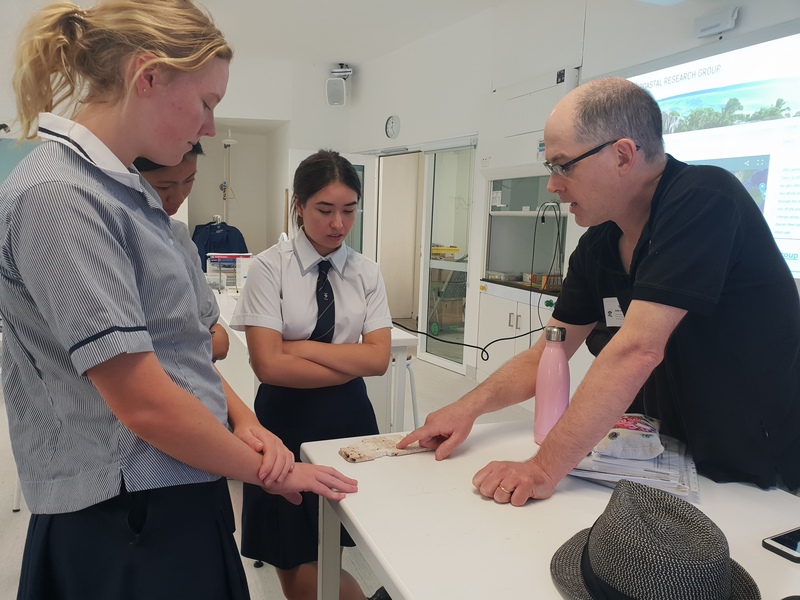 My audience was a small but very enthusiastic year 12 Earth Science class who are currently studying a special Elective on geologic records of climate change. We did some show and tell of some interesting fossil reef cores. Then I talked broadly about future global climate changes and threats to coral reef systems. 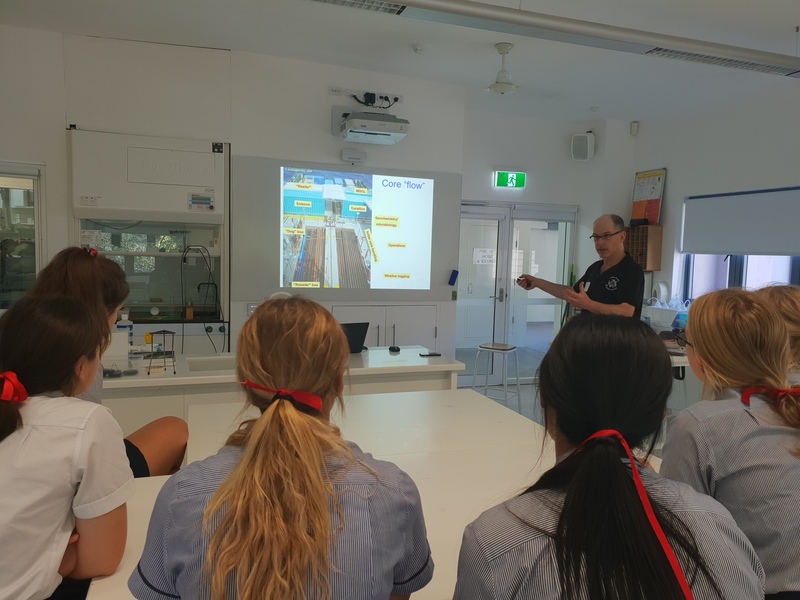 We also covered some the GRG’s recent work on IODP Expedition 325 (Great Barrier Reef Environmental Changes) and how we can use this valuable sediment archives to reconstruct past sea level and climate changes, and how inturn the GBR’s ancient ancestors were affected by the natural but dramatic environmental changes. I had a really great time and hopefully we will see some of these keen and clever students enrolled in our introductory course (GEOS1001 – Earth, Environment and Society) next year!